Ta’jil literally means hasten in Arabic. In the context of Ramadan, the word itself means to hasten to break the fast. 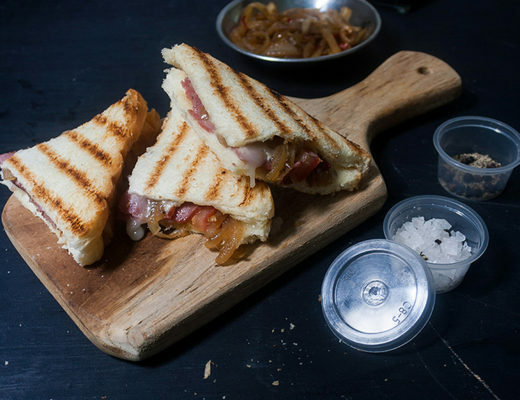 But there has been a shift in the meaning, Indonesian used the word “takjil” in a reference to drinks, snacks and desserts that we consumed to break the fast during Ramadan. The holy month of Ramadan is highly anticipated, not only by Muslims but also by food lovers. 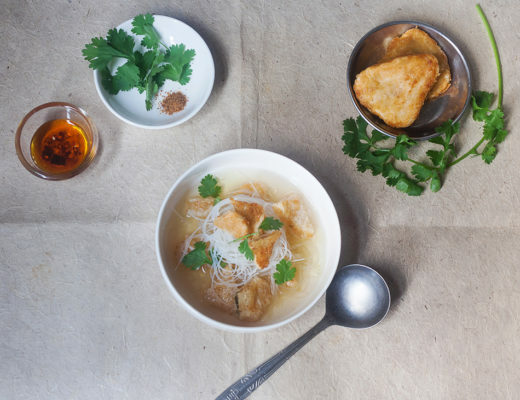 This is the right time for the foodies to savour their favourite Indonesian delicacies. 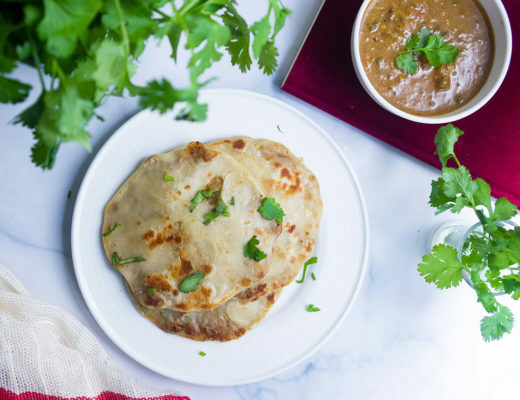 No fast-breaking meal can be considered complete without traditional desserts like kolak or bubur candil, fritters or gorengan is another favorite bite for iftar. This is also the time when the kitchen is busiest in Indonesian household. Devoted mom and housewife spent countless hours to prepare food for iftar and suhoor. We spend way too much time for preparing food, doing grocery shopping and not to mention hunting new clothes for Idul Fitri. We don’t even realize that we almost lose the real essence of Ramadan. Thanks to modern technology! Nowadays, we don’t need to waste our time waiting in a long queue when we are doing our grocery shopping. We can save a lot of time by shopping online. iLOTTE.com is the latest e-commerce in Indonesia. 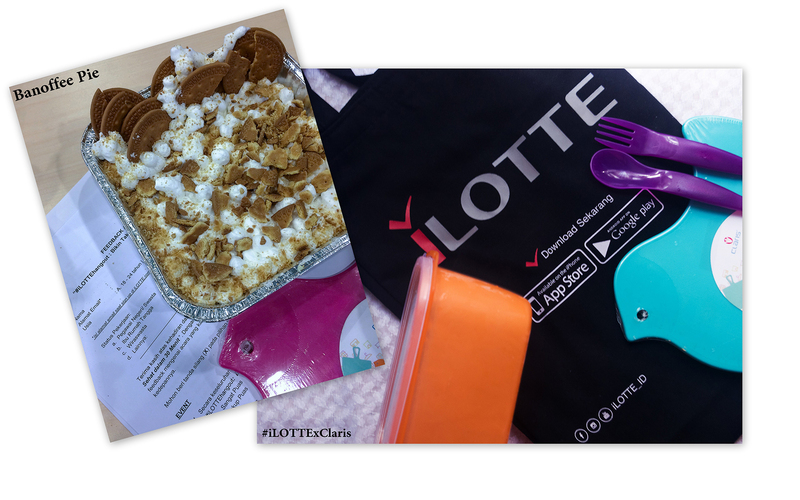 iLOTTE is a joint venture between Indonesia’s Salim Group and South Korea’s Lotte Group. Comes with a mall-in-mall concepts iLOTTE.com offers only authorized seller and brands. In addition, iLOTTE offers a wide range of speciality products from major retail and retail stores such as Lotte Shopping Avenue and LOTTE Mart. 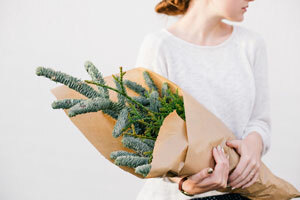 Another unique concept offered by iLOTTE is online-to-offline (O2O) services. Flash delivery, which is a 3-hour express delivery service (this feature only for Jakarta area). IPoints feature and iLOTTE Hangout which is a customer loyalty program. 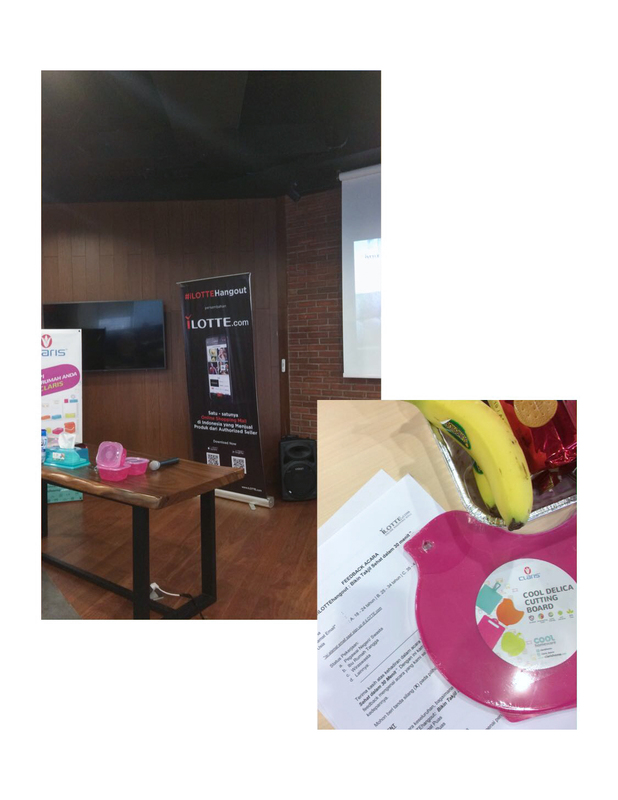 To celebrate the Ramadan iLOTTE supported with Claris Indonesia held an iLOTTE Hangout event. 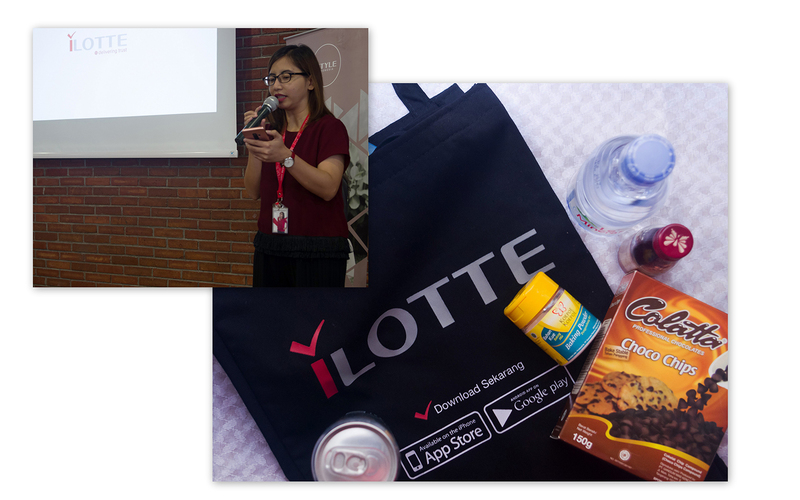 This event is held regularly by iLOTTE and it’s aimed to bring the consumers and community closer to the brand. The theme for this month cooking class is “Buat Takjil Sehat dalam 30 Menit”. 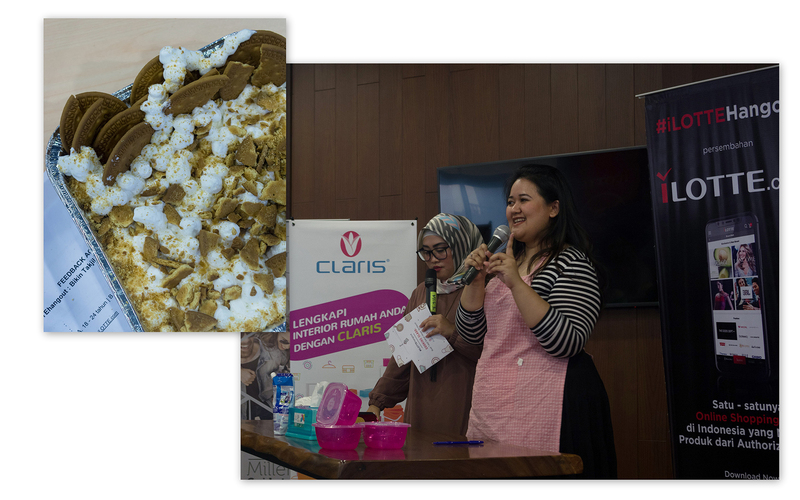 Putri Habibie, owner and founder of Lady Bake cooking class demonstrates that cooking is fun, easy and not stressful. Around 4 pm Mba Dini, iLOTTE Marketing Communication Specialist started the event. She gave a short introduction about iLOTTE and iLOTTE Hangout. Putri Habibie is no stranger to the food industry. At the tender age of 9, she baked her own cookies for the first time. Her culinary curiosity never abated and Putri became especially passionate to share her cooking skills with eager participants. Since opening classes in 2014, hundreds of women and men who have been taught cook by him. Her students are very diverse from children to a housewife and even celebrities. 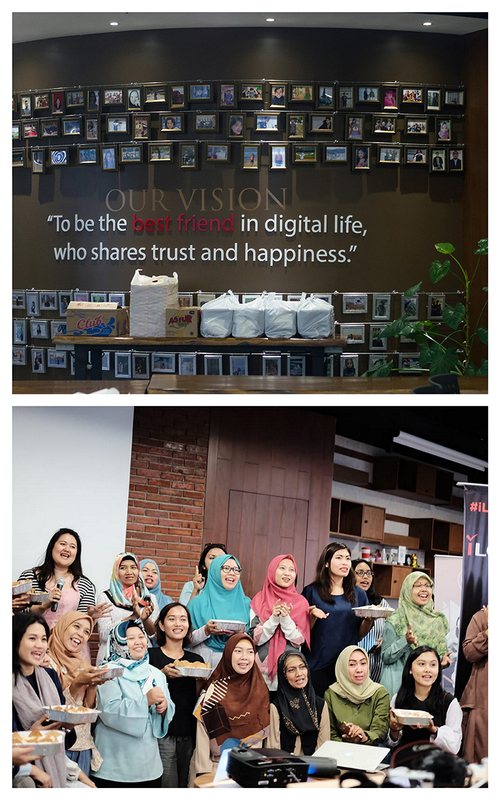 In front of eager participants, Putri Habibie saying ” Be creative and use your imagination when cooking, cooking should be fun and less stress.” It’s that signature Putri personality, a warmth and cheerful that makes you feel instantly at ease in her kitchen. 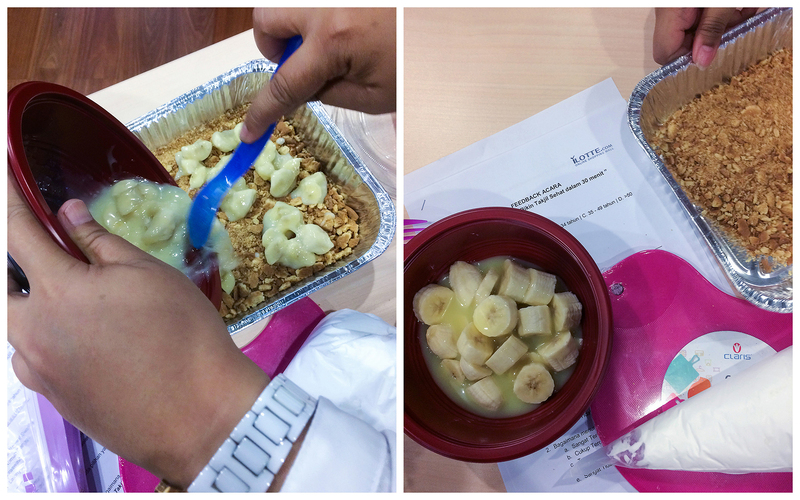 During this hands-on cooking class, Putri shared an easy Banoffee Pie recipe. It was fun experience because we are not only learn a new recipe, but we also got a chance to share an experience with other participants. iLOTTE & Lady Bake Cooking Class also make a fun quiz. They have interesting prized for the winner. 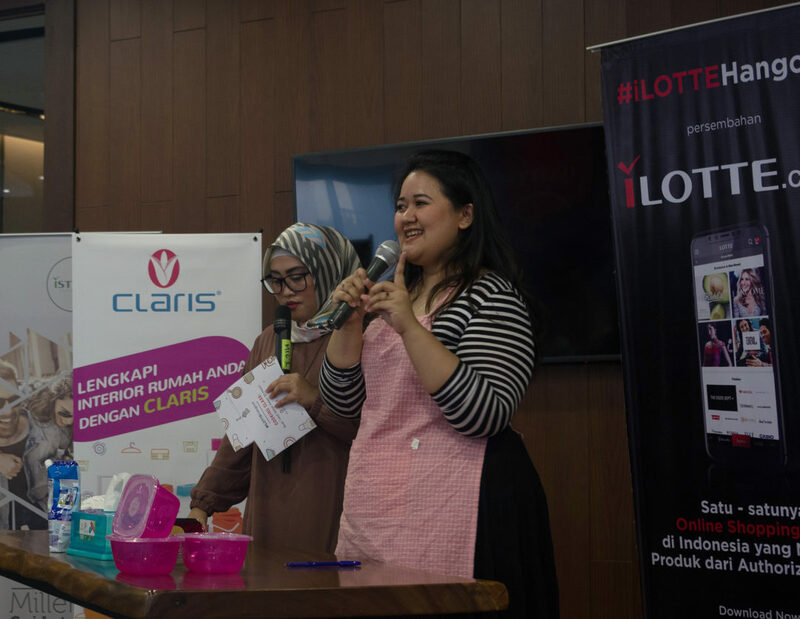 The prizes including colorful lunchbox from Claris, iLOTTE shopping voucher and private cooking class with Putri Habibie.